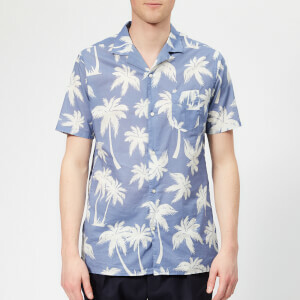 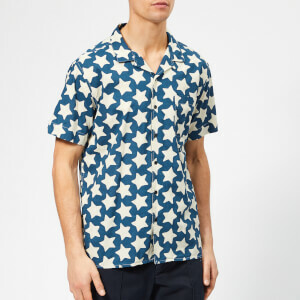 Designed with an all-over shark print, the camp collar shirt from Lanvin is crafted in Italy from lightweight cotton. 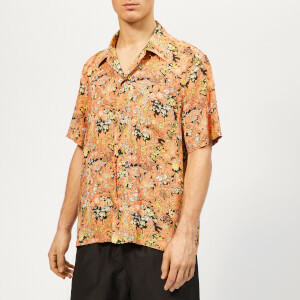 Cut in a regular fit, the short sleeve shirt features a tonal button front placket and a chest welt pocket with a concealed button closure. 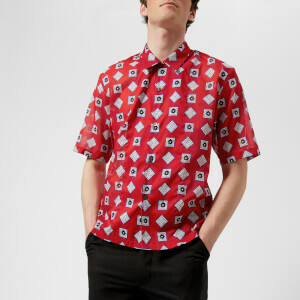 A stepped hem completes the design.